In a poll conducted over a four-day period, respondents overwhelming opposed a multi-million dollar soccer facility proposed in Elk Grove. The unscientific poll, which was conducted between 6 p.m. on Monday, March 12 and 6 p.m on Friday, March 17 asked respondents "Do you think there is a need of a $50-million-plus soccer facility on the 100-acres it purchased?" Of the 85 respondents, 59, or 69-percent agreed with the statement that "No, it is too expensive and the need has been exaggerated." On the other side, 24 or 28-percent said "Yes, there is a shortage of soccer facilities in the city" with three undecided participants. The controversial proposed project, which at times called for the construction of facilities costing up to $100 million that included a professional-grade soccer stadium in the hope of recruiting a Major League Soccer franchise, was a keystone of former Elk Grove Mayor Gary Davis' political agenda. Davis, who had repeatedly told Elk Grove soccer enthusiast at City Council meetings a soccer facility was coming, unexpectedly announced last summer that he would not seek a third two-year term explaining that he wanted to spend more time with his family. Since dropping out of the race last summer and leaving office in December, Davis has become involved in the Wilton Rancheria's proposed $400 million casino resort. Recently Davis formed a non-profit called Elk Grove Community Council that includes among its board of directors Raymond "Chuckie" Hitchcock, Chairman of the Wilton Rancheria. 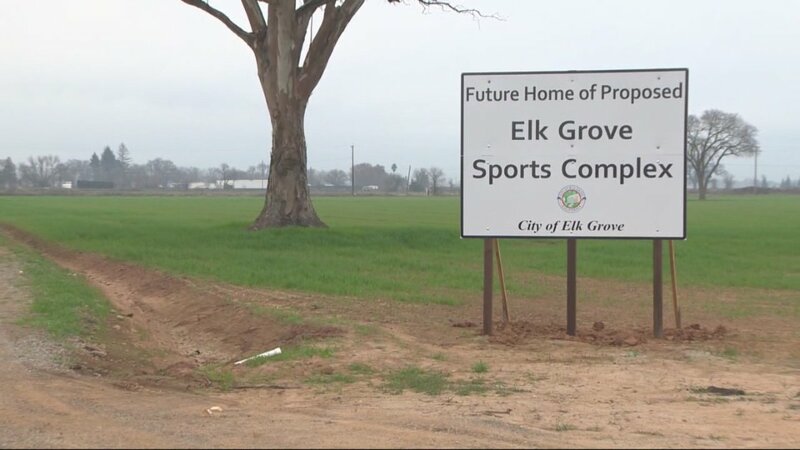 Since Davis exited elected office, updates on the proposed soccer facility from City Manager Laura Gill, the Elk Grove City Council and Mayor Steve Ly, Davis' political protege and hand-picked successor, have disappeared. The facility, which now has an estimated price tag of about $50 million, is slated for construction on a 100-acre parcel outside of current city limits purchased by the City of Elk Grove three years ago for $4.4 million that has been leased for $2,500 annually for hay production.